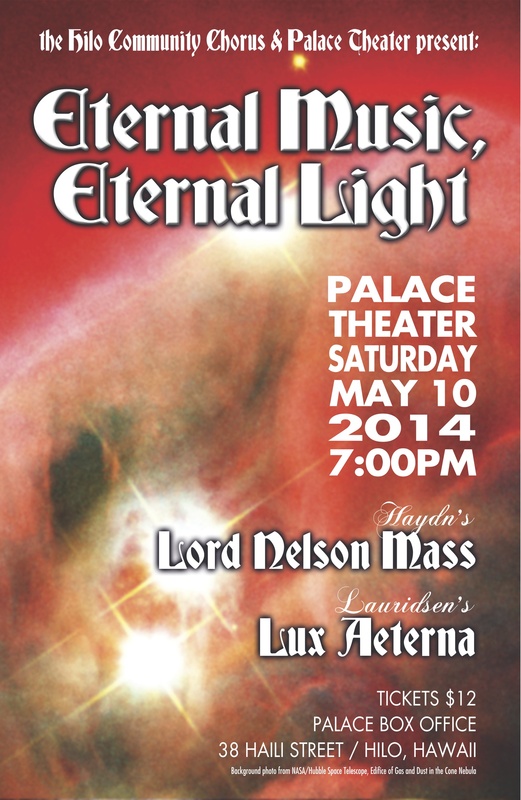 The “Eternal Music” of our program, the “Lord Nelson Mass” was written in 1798. Haydn’s chief biographer, H. C. Robbins Landon, has written that this mass “is arguably Haydn’s greatest single composition”. Under the baton of conductor Tom McAlexander, the Hilo Community Chorus is proud to feature four of the finest performers in the Hilo community doing the demanding solo work. Kaui Trainer, soprano; Gerdine Markus, mezzo-soprano; Pedro Ka’awaloa, tenor; and Barry Brandes, bass, will be joined at the organ by noted accompanist Walter Greenwood.